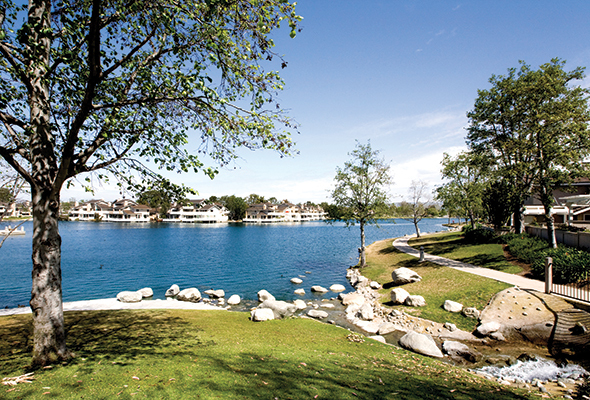 Irvine homebuying: What’s the hottest neighborhood? Homebuying in Irvine in 2017’s first three months could not keep pace with countywide sales advance. How did the local residential real estate market start the year? Using CoreLogic data, we compared homebuying patterns from January to March from this year and 2016. Sales in Irvine rose as 963 residences sold in the past 12 months vs. 959 a year ago. That’s a gain of 0.4 percent vs. a 3.5 percent increase countywide. 1. ZIP 92620 — 299 homes sold vs. 228 a year ago. That’s a sales gain of 31.1 percent. Median of $842,500 vs. $830,250 a year ago, a gain of 1.5 percent. 2. ZIP 92606 — 33 homes sold vs. 31 a year ago. That’s a sales gain of 6.5 percent. Median of $747,500 vs. $790,000 a year ago, a loss of 5.4 percent. 3. ZIP 92603 — 72 homes sold vs. 74 a year ago. That’s a sales loss of 2.7 percent. Median of $1,215,000 vs. $ 1,076,250 a year ago, a gain of 12.9 percent. 4. ZIP 92612 — 92 homes sold vs. 100 a year ago. That’s a sales loss of 8 percent. Median of $625,000 vs. $607,000 a year ago, a gain of 3 percent. 5. ZIP 92618 — 241 homes sold vs. 256 a year ago. That’s a sales loss of 5.9 percent. Median of $865,000 vs. $811,250 a year ago, a gain of 6.6 percent. 6. ZIP 92602 — 125 homes sold in the period vs. 136 a year ago. That’s a sales loss of 8.1 percent. Median selling price of $932,000 vs. $943,000 a year ago, a loss of 1.2 percent. 7. ZIP 92604 — 61 homes sold vs. 77 a year ago. That’s a sales loss of 20.8 percent. Median of $700,000 vs. $710,000 a year ago, a loss of 1.4 percent. 8. ZIP 92614 — 40 homes sold vs. 57 a year ago. That’s a sales loss of 29.8 percent. Median of $637,000 vs. $635,750 a year ago, a gain of 0.2 percent. 1. By neighborhood, prices rose in 66 of 83 Orange County ZIP codes; sales rose in 50 ZIPs. 2. In the 27 least expensive ZIPs — where the highest median home price was $588,000 — 2,423 homes sold, up 5 percent. Sales rose in 70 percent of these ZIPs. 3. In the 27 priciest ZIPs — where the medians start at $742,000 — 2,630 homes sold, up 7.2 percent. Sales rose in 59 percent of these ZIPs. 4. Million-dollar ZIPs: 9 with 551 sales, up 13 percent vs. 10 million-dollar ZIPs a year ago.